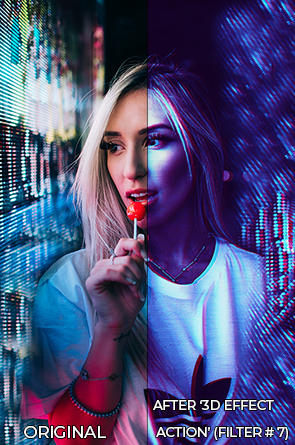 Animated 3D Glitch Action for Photoshop! 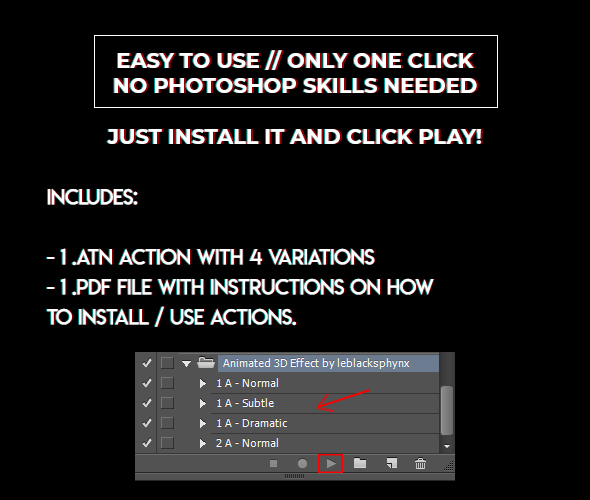 Turn your 2D pictures into an animated .gif or short video in ONE click! Includes 2 colour versions and 2 intensity variations, one subtler, the other more dramatic. If you know how to usethe Timeline tool from Photoshop you can also make the animation shorter or slower, switch order and stuff. In case you need help saving it as a .gif, the .pdf help file includes my steps to save it easily as an animated .gif to upload online. Have fun! I pin a lot of Adobe related stuff, photography and design in general.